Oh my goodness, if you could have seen the shape this girl was in! Scratched and dings with dull wood that had hints of the beauty she once was! You can see how beautiful this piece must have been in its glory days! But this is the perfect piece that will actually be worth more after its fixed and painted. 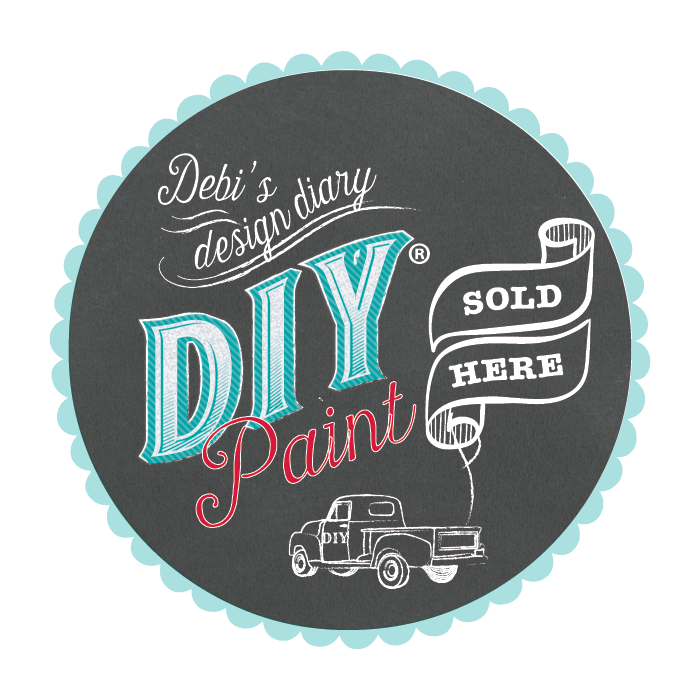 So I decided to start with the earthy rich color prairie gray from Debi's Design Diary DIY paint line. This paint is an all natural clay-based paint (and yes it's a chalk style paint) which means it's thick and texturized and makes for the perfect paint to blend the old with the new decorative details perfectly. 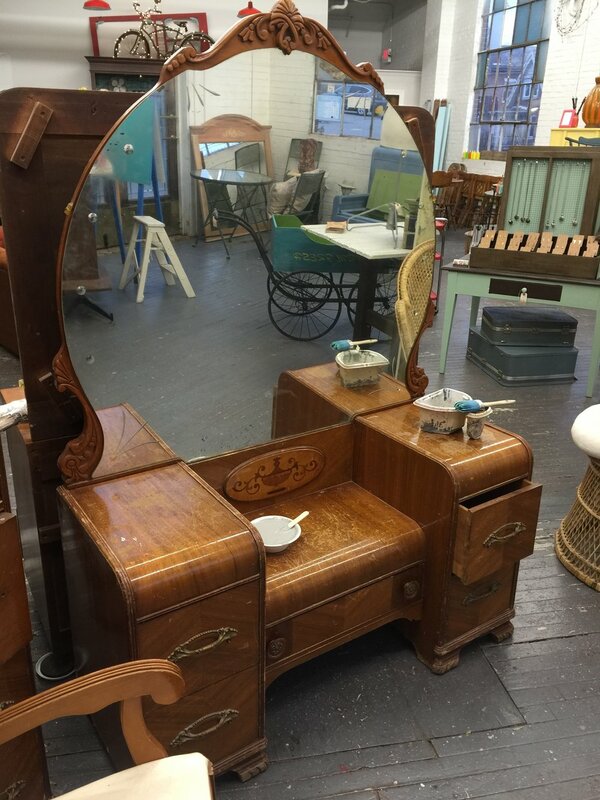 Because this piece originally has wood carved details at the top of the mirror, I decided to add some detailed accents to the focal point inside the oval. 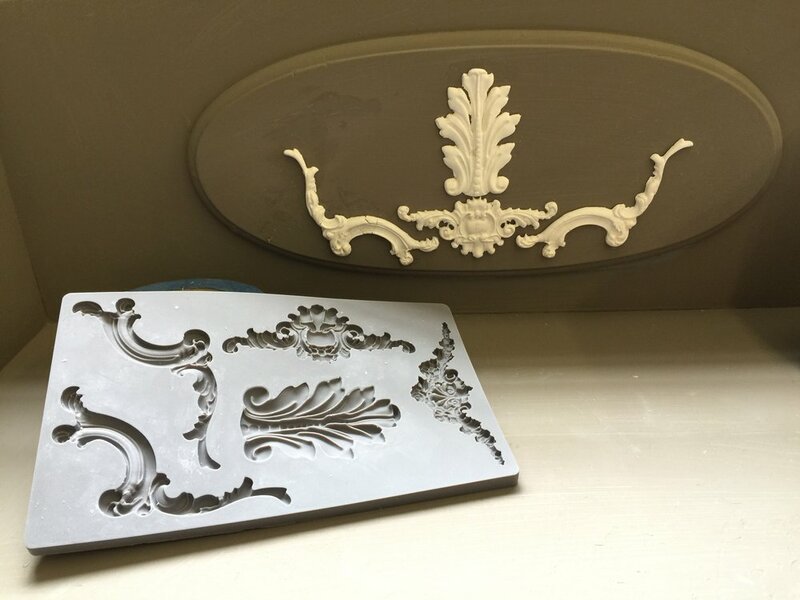 I chose to use the high quality decorative moulds from Iron Orchid Designs (IOD) company . I just started with paperclay (may also be found though IOD) slightly rolling a small amount into my hand until it warms, then thoroughly pressing it into the moulds. Watch this demo from my Facebook live feed below-feel free to ask any questions you need-enjoy! 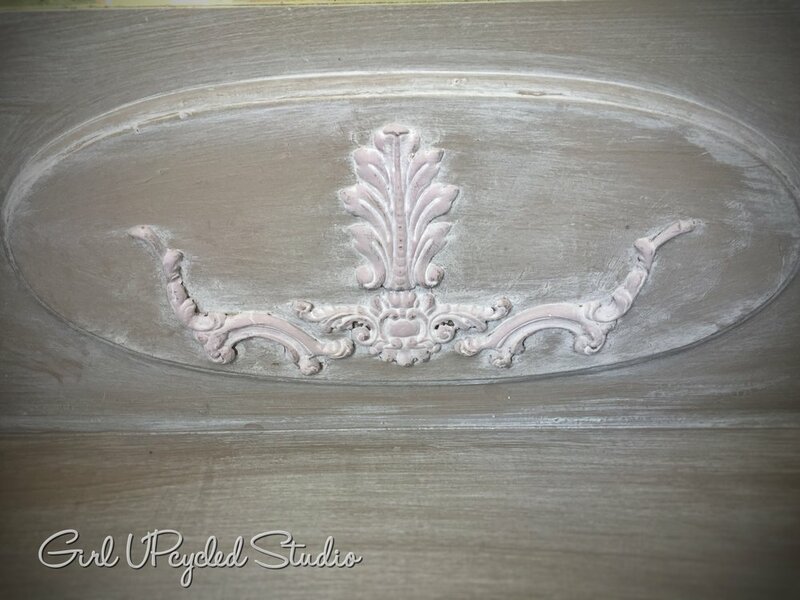 So next I chose to paint a soft lavender accent again by Debi's Design Diary called French Millinery on the clay details I made, handles, all existing accents that the vanity already had and finally to the chair. My special helper for the day Cassidy my daughter she did a great job don't ya think? 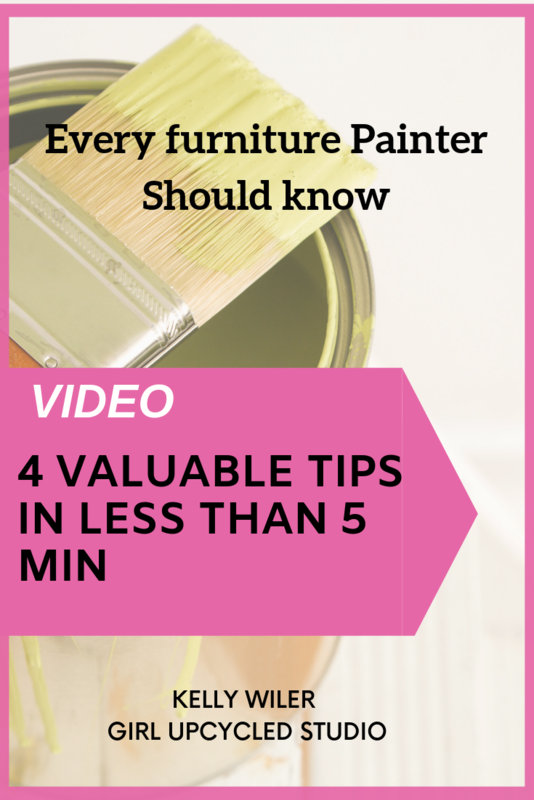 Don't skip painting the interior-makes such a big impact! One of my favorite things to do is to add a bright pop of surprise on the interior of the drawers for this piece I chose a color from the DIY paint line called old 57. So lastly and most importantly I decided to make a glaze using clear patina mixed with vintage linen both from the DIY paint line mixing it three parts clear patina to one part paint adding just a touch of water until I achieve the perfect fluidity. This of course can be adjusted to your personal taste. Scored the perfect designer fabric!! This is such a statement piece to be enjoyed by a Woman that enjoys the perfect feminine touch! For more information and to see more exciting UPcycles join me over on my Facebook page to keep up with all of my projects daily!